Building Bones classes are designed to help those affected by or at risk of Osteoporosis. 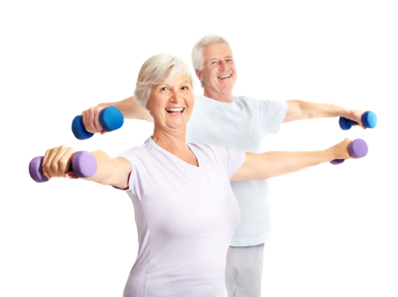 These are exercise and education classes covering all areas of Osteoporosis care. It is open to both men and women who want to prevent or treat the effects of Osteoporosis. At the moment the program is offered to those in the Perth metropolitan area, Western Australia. The success of the program has been such that it is an endorsed provider of Osteoporosis treatment and prevention by the Arthritis Foundation of Western Australia. Exercise is one of the key ingredients to maintaining strong and healthy bones. Some forms of exercise are more effective than others so participants are guided through the most appropriate types of exercises, taught correct techniques and can have individual exercise programs tailored to their condition. The educational component covers a variety of topics and includes the role of resistance training in improving bone strength and mass, appropriate nutrition, calcium intake, the role of hormones and HRT, fall prevention and achieving improved balance, mobility and posture. Other benefits also come from building friendships that can provide mutual support and encouragement from other people who understand what it is like living with Osteoporosis. The program is run by tertiary qualified staff with experience in injury rehabilitation and prevention who are keen to see you get the most out of the program. All fees are payable before the commencement of training. Your Building Bones membership includes supervised training sessions, appraisals and full access to the gym. Members can suspend/hold their membership provided prior notice is given and suspension is for at least two weeks. Calcium and vitamin D are two key elements in building and maintaining strong bones. The amount of calcium contained in different foods varies, so choosing foods higher in calcium is important. Dairy is a great source of calcium and also a god source of protein and other nutrients important for your bones. 3 serves of dairy a day will provide you with your recommended dietary intake of calcium. Vitamin D is essential for bones as it helps with the absorption of calcium from foods, however foods in general provide little vitamin D.